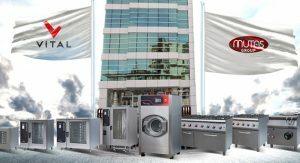 With the high product&service quality and a wide variety of modern, dynamic, innovative service concept; we beleive that we are representing our country successfully and proudly in the new modern industrial kitchen, laundry, cold room&storage industries and in the international markets. And, we are utmost aware that we must provide our customer the maximum range of profitability, efficiency and effectiveness. For the very reason, your thoughts, your requests and your satisfaction are so precious to us. We know what is “life time value”; and we are aware of its importance. Therefore, we don`t beleive in one-off business; we believe in life time business. • To present and supply most convenient products and services which are updated regarding the requests and needs of our customers. • Commitment to sustainability and to acting in an environmentally friendly way by preserving environment and energy sources. every single member of VITAL FAMILY share our success. We are never satisfied with how business was done in the past, or what we achived in the past. We are always so keen to develop better products, better services to constantly improve our customers` satisfaction, to try to upgrade operational efficiency and productivity for our customers and for us. COMMUNITY INVOLVEMENT AND COMMITMENT TO SUSTAINABILITY AND TO ACTING IN AN ENVIRONMENTALLY FRIENDLY WAY. We exist with our environment. VITAL FAMILY has always shown the necessary respect to environment. We know that we have one world, and we are determined to preserve it. and special funds are reserved in our annual budget. And also, we are proud of encouraging our employees to get directly involved in the community for voluntary actions. We are utmost aware that we must provide our customer the maximum range of profitability, efficiency and effectiveness. For the very reason, your thoughts, your requests and your satisfaction are so precious to us. We know what is “life time value”; and we are aware of its importance. Therefore, we don`t believe in one-off business; we believe in life time business. In another word, we know that the business transactions must be “win-win situation”. Therefore, we pay attention to ensure our customers gain as much as possible. We know that the excellence and quality can be provided with happy and satisfied employees. Therefore, we care about our employees. We are manufacturer and we see our manufacturing as art. We desire to create remarkable experience for our customers. 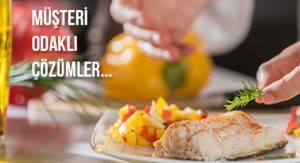 MUTAŞ GROUP which was established in 1997, has put a significant signature in the industrial stainless steel sector in a very short time by serving high quality industrial kitchen, laundry, cold storage, stainless steel hospital equipments and products in international markets. Today, with our research and development team consisted of engineer who are professional in their areas, and more than 120 employees, we are one of the leading companies in industrial stainless steel sector in our region. There are many [completed by us] turn-key-projects such as hotels, restaurant, resorts, hospital kitchens, morgues, integrated meat and food facilities, cold/deepfreeze rooms, bars, laundries, patisseries, construction site kitchens and dining buildings, container buildings and hospitals etc. Beside our turn-key-projects, our international sales are growing rapidly. Innumerable industrial restaurant and kitchen products can be manufactured and supplied by our company. Also, As MUTAŞ GROUP there are many governmental bids and tenders completed by us, please contact us for our reference list.